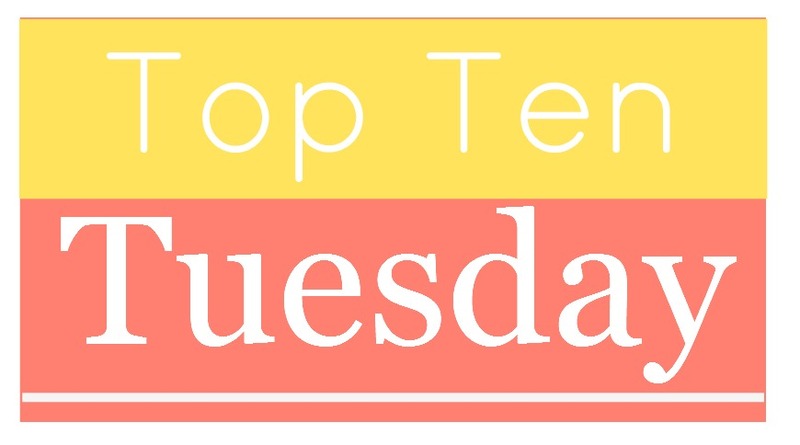 Top Ten Tuesday is a bookish meme created and hosted by The Broke and the Bookish. The themes change, but it's always about the top ten for you! This week's top ten Tuesday theme is: Top Ten Things That Will Make Me Instantly Want To Read A Book. Let's see if I can limit myself to 10! Noir/Noirish/Noir-Inspired: I love me a good femme fatale, and a man who doesn't want to be a chump; I love double crosses and triple crosses, and anti-heroes and depressing one night stands. Anything reeking of Hammett, Chandler, Cain, or Hughes wins with me. Archaeologists: Between Indiana Jones and the Vesper Holly books, adventurous archaeologists were imprinted on me as a kid and I'm just a sucker for archaeologists in fiction. Gothic: That's a broad one, and it's how I end up reading so much crap. 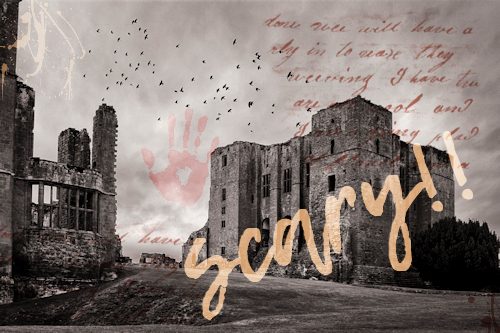 But I love a good gothicky novel: aging and decaying buildings, desolate landscapes, ghosts and malevolent spirits, and always a plucky young heroine I can pretend to be (without having to be in the freezing cold castle populated with ghosts!). That there's a romance doesn't hurt, but I'm pickier about my hero so that's not always a gimme there. Inspired by Classic Literature: God, I love a retelling, and I'm particularly keen on novels that plumb classic favorites with an eye toward the 'invisible', i.e. people of color, women, queer folks, etc. Inspired by a Real Life Lady: I'm also addicted to biographical novels, especially about real historical figures. I'm so over the X's Wife or X's Daughter titling practices, but otherwise, if it was a woman who did a thing back in the day, I'm there 1000%. I lean toward ordinary women over royalty, unless it's non-Western, then I'm all for the trappings of luxury and courtly intrigue. Unique Settings: Another broad category, but there you go. I love books set in locations I've not often read about, real or imaginary. I'm a sucker for armchair travel. Birth Control and/or Not Becoming a Mother: Weird, but there ya go. I spent a very long time in discernment, so to speak, about becoming a parent, and I crave fiction that features women wrestling with this decision and deciding to not become a parent. So often it feels like women in novels have children for the flimsiest reasons, and I really love books that address the complicated, fraught world of not becoming a parent. I also love a heroine who uses birth control because, hooray and that's real life and etc. Ghosts! : I was back-and-forthing about whether this just replicates my 'Gothic' category, but I'm going to say it doesn't. But I love me a good ghost story. Lots of atmosphere, low gore. Experimental Writing Style/Techniques: I am not always the most sophisticated reader, but I do enjoy books that play around with storytelling/narrative techniques. I've not read as many of these kinds of books the last handful of years, because they require some mental energy, but I'm always so impressed with authors who can tell a story in a style that is unusual, weird, or more than first-or-third person (or, these days, second!). I could go on, but I'll stop. Any of these things what you look for in a book? What 10 things guarantee you'll want to read a book? Great list! I love biographical novels (and memoirs) too. Unique settings are great. I never thought about your number 8 but do enjoy books like that too. Happy Spring! :) I saw you were commenting on Beyond the Wild River as I was making my rounds to see who else was reading this particular title today. There were parts I loved about the story and other bits, I felt fell a bit by the wayside. I'm unsure how you'd feel about it as a whole, so I think your choice to bypass it might be a good idea. I'm thankful to see a Top Ten Tuesday on your blog! It's been such a long time since I joined in on the fun of these as I'm never quite able to pair down my list to '10' which is why I rarely participate! That number is difficult for me but you seem to ace getting everything onto a list that is a wicked representation of your thoughts. I wish I could do the same. I need to read more Noir Fiction; I started finding I appreciate Noir in Classic Films but in fiction, I haven't quite sorted out which authors I should be reading to 'get into' the genre. I might use your short list as a reference! I agree with everything you said - those are the elements which get me interested, too! Plus, I like the atmosphere of a Noir Suspense - it has something in it that is appealing. Archeologists! Yes! We're alike on that score! I also love Forensic investigators and/or early Forensic Science in Historical Suspense / Thrillers. I'm truly picky with Gothic stories - I love Southern Gothic and Traditional Gothic (ie. set in castles, etc) equally but like you, I have such a high bar of what I'm hoping to find it's not always an 'easy' fit for me either! On this note, I hope to finish Jane Eyre finally so I can move into after canons by next month! I love re-tellings too, but those I am sometimes quite critical of especially how the canon of origin is treated. I wish I could read more dimensionally at times - seeking out non-traditional re-tellings; goals for the future! I also like Biographical Historical Fiction - one of my favourites was about Eleanor Roosevelt last year, even though it was hard to get through emotionally. Similar to you, I like seeking out stories of adoption and of mumhood through this route. I say, similar to you, as we're each seeking out stories of motherhood which relate to our own lifepath but I cannot say I struggled with motherhood; I've been maternal for a long time. I do agree - stories should be relatable to everyone's life story; there is room for all stories and all paths towards motherhood or any other life moment which is important to the reader. I agree. I like seeking on experimental writing styles myself - authors like Andra Watkins, Kimberlee Ann Bastian, Tara Sim, and Amy Impellizzeri come to mind. I am sad about this recent spate of Lovecraft stories! I've read two (one by Kij Johnson, one by Daryl Gregory), and neither of them quite hit the spot for me. I think not being familiar with the source material has been a problem for me! Are you a Lovecraft fan? Can you recommend books/stories for a Lovecraft newbie? SEA MONSTERS YES! Ghost! Yah! Great stuff. I can get onboard with all of these.